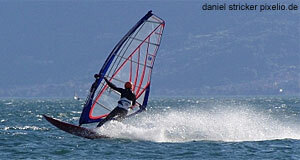 In a landlocked country, many tourists think that windsurfing and sailing are not an option. They should think twice: With approximately 300 lakes and plenty of rivers all over Austria, the country is a great destination for all sorts of water sports, including windsurfing and sailing. In fact, there are several boutique yacht builders in Austria that are internationally renowned for individually crafted, high-quality cruisers of the high-end market. Sailing a rented dinghy or windsurfing is a lot cheaper and a worthwhile option for a vacation in Austria. The centres of these sports are naturally nearby lakes. Most importantly, the large Bodensee or Lake Constance in Vorarlberg, the Lake Neusiedlersee in the very East (the province of Burgenland), the "Salzburger Seenland" (Salzburg Lake District), the Salzkammergut and Carinthia. Everywhere by lakes in these regions you will find sailing schools, workshops and supply facilities as well as yacht ports and rental services for dinghies and windsurfing gear. If you want to rent a boat or windsurfing equipment, you might have to show a certificate. Sailing a dinghy does not require any certificates, unless the owner requires you to prove that you can handle the boat you want to rent (if any at all, then usually the non-official "Segelgrundschein"). For bigger vessels you usually have to have a certificate, but only the most basic grade, a certificate for coastal or even offshore sailing is not required. "Usually" means that there is no legal requirement for the "Segelschein A". However, this certificate is issued by the Austrian Sailing Association ("Österreichischer Segelverband") and centrally examined. This makes it the lowest "proper" sailing certificate and allows you to sail on inland waters. The examination includes a theoretic and a practical part. Windsurfing is even less formalised - if you want to rent gear, you usually have to convince the owner that you know how to use it at least to an extent that you won′t damage the stuff and off we go. Accessories and supplementary gear can be purchased in specialist stores. In the lake areas on the Northern and Southern edge of the Alps you should also be able to find rental services for almost anything related to sailing and windsurfing. Schools often offer packages that include gear and training. Courses are usually in German and since surf instructors have a reputation for not being rocket scientists I am hesitant to recommend English courses unless they are held by native speakers (of English, that is). In terms of scenery and landscape, the Salzkammergut, Lake Constance and Carinthia are the winners. In terms of good wind (more important for windsurfers than for sailors), the East beats the west and Lake Neusiedlersee has a good reputation. Especially Podersdorf in the Seewinkel has good facilities for windsurfers. For both sailing and windsurfing, there are specialist holiday operators that offer all sorts of packages. However, I would recommend you to choose a certain area first and then request information for the specific sport from the local tourist information office.